The Bail Bond Services industry has grown steadily over the past five years. The industry has a very small loss ratio because the law permits industry operators to use all means possible to produce defendants who skip their court hearings. Bail bondsmen usually use the services of bounty hunters to track such individuals and produce them in court. 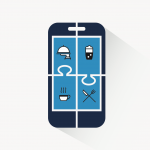 So why would a mobile app assist them in their day to day? Smartphones came onto the consumer market in the late 90s, but only gained mainstream popularity with the introduction of Apple’s iPhone back in 2007. The smartphone industry has been steadily developing and growing since then and by 2018, over a third of the world’s population is projected to own a smartphone, an estimated total of almost 2.53 billion smartphone users in the world. With those numbers being projected businesses need to start adapting their marketing efforts to keep up with the advances in technology, this including the Bail bondsman industry. 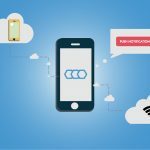 What does this mean for the Bail industry and how does a mobile app help you and your business? 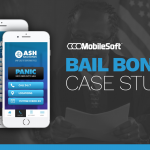 Mobilesoft sat down with shop owners from around the nation and provided a platform that will assist all bail agencies by giving them full control over their clients and allowing them to grow their business efficiently. We have provided aid to their shops by creating a check in feature that records time, dates and location automatically. This then provides the business to keep the phone line’s open for new business by having your defendants check in with your custom mobile app. The Panic Button instantly notify you of their arrest, arrest location and deliver all the information you need to write a new bond, before they hit booking. Making a payment by integrating your current payment processor and allow new bail and existing clients to pay directly from your app. Making court appearance easier for you and your clients. We have built a feature that allows the defendants to check in to court and submit paperwork in one easy step. We have integrated a directory of all your bail agents and easy access for clients to get important questions answered. In doing all this we have provided instant notification while giving the ability for your clients to go to court and use your app. In 2016, Americans spent an average of 10 hours per day on mobile devices. Nearly a third of this time was spent on smartphones or tablets. This means that the average American spends over 500 hours per year navigating through their mobile device and gives you ample opportunity to capture their attention and get them discussing your business on a device they use so frequently as part of their daily lives. It is estimated that by 2019, nearly 72% of marketing dollars will be spent developing apps and advertisements for mobile platforms.